Throughout the decades, many in America have had much to be very proud and thankful for: our free land and free enterprise have given many the opportunity to prosper. Over the next few weeks, thoughts will drift to Pilgrims and abundant harvest, and the time of year during which many long flights and drives are made to spend time with loved ones. The importance of being able to gather around a table and express your thankfulness and gratitude is a tradition that stands long in the US, and here in Columbus we only reside one state west from where many landmark battles for our independence and rights took place in Pennsylvania. But as you look closely through the cracks, it is fairly easy to notice those that are worried about day-to-day existence. Many in our state have never recovered from losing a home or job that they desperately needed, and suffer greatly trying to make ends meet with a family in tow. 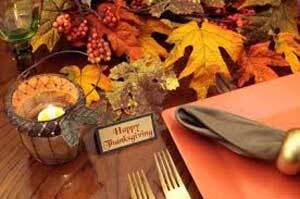 It's during this time of year that it becomes easy to only be caught up in what you and your immediate circle will have for plans: the reservations, airline tickets, accommodations, and adjusting schedules can seem frenetic. 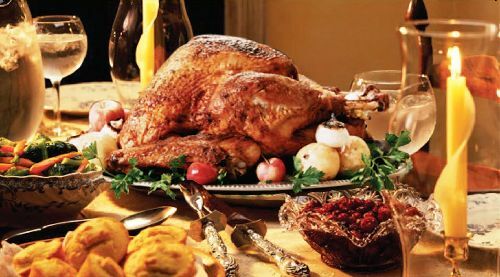 We wanted to closely look at 3 events over the next month that aid those less fortunate, many of whom have probably never even flown on an airline, or had a mouth-wateringly fresh and trimmed turkey at the table. Trucks stuffed full of necessities and food drives are as much as a mark of the season as a full stocking for someone who is blessed and fortunate, and these opportunities will bring about the true spirit of the holidays for you and your family. 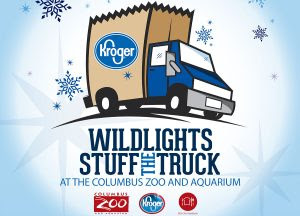 Wildlights Stuff the Truck At the Columbus Zoo and Aquarium: On Friday, November 18 from 5-9:00 PM, every guest who brings 5 non-perishable food items to the zoo will receive a one-night free admission to enjoy the Wildlights exhibit. Presenting your cans upon entrance will also allow for free parking, and you and your entourage will undoubtedly be very excited about the festivities that will follow. As the festive lights pierce the cool night air, this can be a perfect chance for you to experience a prelude to other excellent events that will happen here in the days to come: The Dine with Santa Breakfasts and Lunches are on Dec. 3rd, and the beloved Colo's birthday celebration is just 3 days before Christmas on December 22nd. Going to the zoo is one of the most awesome ways to ring in the holidays, and revel in just how beautiful the snowy seasons can be with someone special. Thanksforgiving: On Thanksgiving day, the New Albany Charity Run is going to have their Thanks for Giving 6K run, which benefits 3 separate charities that strive to make a difference daily in Ohio. This event benefits the Mid-Ohio Foodbank, LifeCare Alliance, and the New Albany Thanksgiving Day fund, and begins at 8:30 AM on November 24th. For this race, there is no official fee, so you can decide how much is appropriate for you to donate. There will be stellar T-shirts on sale the day of this event, and it's one of the best opportunities we have found as of late to give back to the city you love so much. Last year this event raised over $50,000 for charities, and attracted more than 2,000 eager participants. Touting a brand new sponsor Express for 2016, everyone involved in this event is anxiously looking forward to donating towards chapters making a difference such as the New Albany Community Foundation, Lifecare Alliance, and the Mid-Ohio Foodbank. 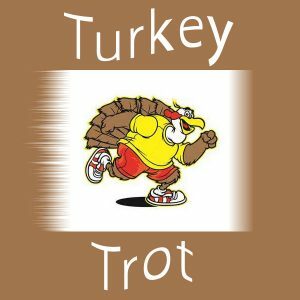 Turkey Trot for Hunger: Right here in Columbus on Thanksgiving day, St Alban's Episcopal Church presents the 2nd Pete Lowder Memorial Day Bexley Turkey Trot family runs. There is a 5k challenge for the big gobblers, and 2k little gobbler family run, beginning within just 45 minutes of each other, with the big gobbler beginning at 9:30 AM. The church that is graciously putting this all on is also having their annual advent and Christmas pageant on Dec. 11, at 10:15 AM. One of the many organizations in our great city that understands how vital it is to fulfill the need of those who are perpetually less fortunate, the event this holiday season in 2016 will no doubt hold very special precedent for those that are worried about their fellow neighbors around them. While it is true that scores of individuals are doing just fine, high student loan debt, inflation, and other rising costs such as housing and food have still offset many who are desperate to change their lives, and these 3 charity events will no doubt make a difference this year.